There's nothing quite like a wet shave, not only does a wet shave make you look sharper and smarter, it relaxes and invigorates, Walid who is a master of an age-old craft that requires a steady hand and nerves of steel. We may be a little more relaxed in our approach to grooming these days. 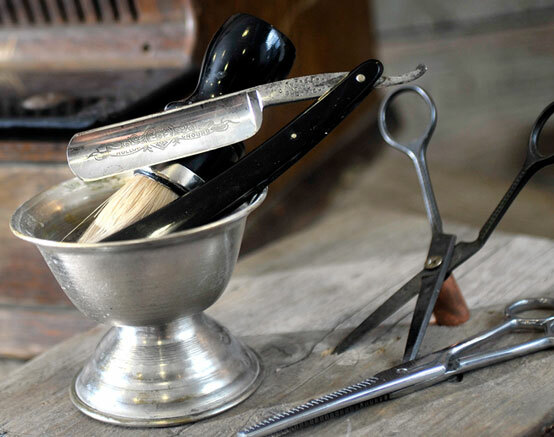 It's certainly considered more of a luxury treatment to go to a barber for a straight razor shave - either as a relaxing way to forget about the stresses of life or as preparation for a special event (perhaps a Wedding day). A wet shaving still represents an important part of the men's grooming tradition and makes a clear statement about the client's sense of self. Treat yourself for that special occasion or just to look and feel good, or maybe even as a gift or birthday present, if you require more information please call and ask for Walid. The first part is applying a hot towel to the face which opens the pores and softens the stubble before applying the shaving gel. After the first wet shave, the customer is lathered up again and a second wet shave follows, after which there is a hot towel then a cold flannel to close the pores. A salve is then used for razor burn relief and an aromatic balm completes the the wet shave process – as opposed to aftershave. This is because aftershave contains alcohol. A lot of men think that they're freshening up when they splash it all over and their face starts to sting. This is because alcohol is actually bad for the skin and dries it up – so it's not really doing much good at all. Grooming one's beard can become an extensive process sometimes. 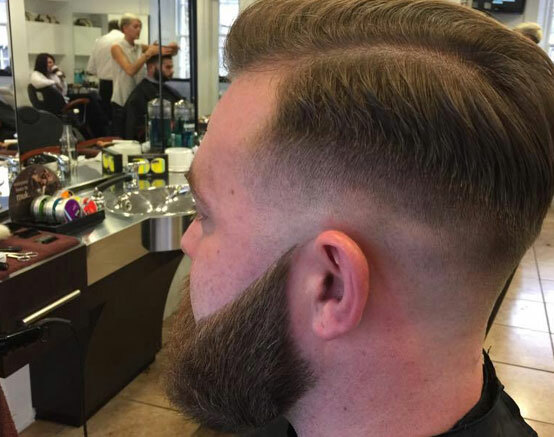 However, at the heart of being a beardsman is the ability to go with the flow and enjoy life as it comes to you. In this case, making sure that your beard looks its best should be no different. Beard trimming seems like a fairly simple task, find trimmer, decide on the length, scythe off overgrowth. Now the reality, if you want your beard to look good, cared for and well maintained, you'll have to put a bit of thought into the process. Instead of treating your face like a lawn, you'll want to treat it like a garden, prune and cultivate it carefully. The experts opinion "the best thing to do is to kick-start this process with a trip to the barber." 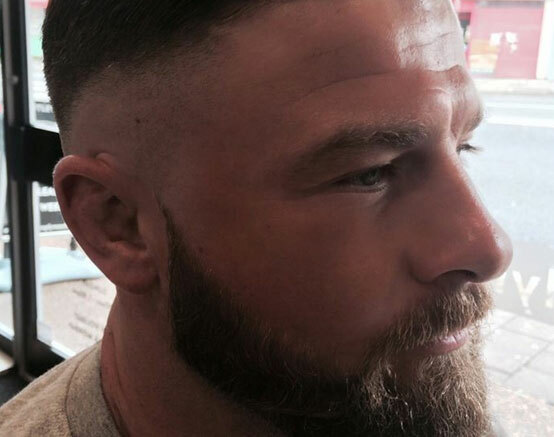 According to professional male grooming experts a man with a professionally shaped beard is likely going to have an easier time trimming than someone who is reinventing his face every time he busts out a razor, call Mutley Barbers for more information. For now enjoy a video from Ted Bakers in London ... but watch this space, we are producing our own Wet shave and Hot Towel Treatment video experience.